Greetings and welcome to the Mat Su/Copper River 4-H District! Come join us for 4-H fun, fellowship and a little bit of learning too! We offer club, district, state and national opportunities for youth in a wide variety of project areas from aerospace to zoology! Contact us at 745-3360 or by the contact area below for more information about how YOU can join! 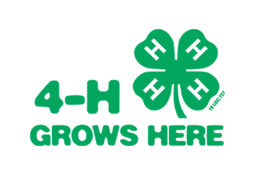 4-H members and leaders: Remember to enroll/reenroll for the current 4-H year at 4honline. You also need to pay online or at the CES Office. Many of you are still pending! Please contact the CES Office at 745-3360 if you need assistance. Spring is here and we need you to help plan our horse activities! Our next Horse Council Meeting is April 29, 6 pm at the CES Office! The next Livestock Committee meeting is May 2, 7 p.m. at the CES Office. Our State 4-H Livestock Contest will be May 17-18 at the CES Office/Matanuska Experiment Farm. Find out how you can participate or help in this great event! Join us for more fun activities that are coming up and help plan upcoming events. Our next meeting is May 2, 6 p.m. at the CES Office. Right before that meeting, from 4-6 pm, will be our Spring into Service clean up activity, followed by a bonfire and snacks! Also mark your calendar for the Lego Challenge on May 9 and Baking Challenge May 29! District Presentations & More Results, March 28! We had a small group in person but 8 fun video presentations from the Copper Nuggets 4-H Club in Kenny Lake. Congrats to all! STEM Triple Crown Results! Congratulations to everyone who participated in this fun event hosted by Pioneer Peak 4-H Club on March 14! Thank you and congratulations to everyone who participated, judged and hosted the 4-H Talent Showcase! Congratulations to all of our gingerbread contest creators 12/6! Juniors: Canyon Roberts, Kade & Aidan Player, Tristan & Jason Winters, Isaiah Krause, Drew Winther, Jack Parker, 1st Place William Whitlatch, 2nd place Elsa Singleton. Intermediates: Josiah Moyer, Elijah Krause, Robert Whitlatch, Samara Johnson, Tirzah & Ben Parker, 1st place Charles Whitlatch, 2nd place Ryan Eklund. Seniors: Macee Eklund, Callista Whitlatch, Jedediah & Jasmine Moyer, 1st place Atti Jo Tormey, 2nd place Kayleena Roberts. Thank you to Millie Tormey, Crystal Roberts and the judges who made this fun holiday event happen! It was fun watching all of the kiddos and of the sweet colorful decorating ideas! CONGRATULATIONS to our Zucchini Winners! William Whitlach is our Junior Zucchini Champion with zucchini bread! Kayleena Roberts is our Intermediate Zucchini Champion with fritters! Callista Whitlatch is our Senior Zucchini Champion with a casserole! There were lots of very yummy entries! Don't forget to join us for the Potato Contest September 13 at 6 pm! ​CONGRATULATIONS to our Rhubarb Cook Off Winners! William Whitlach is our Junior Rhubarb Champion! He entered a rhubarb punch. Tirzah Parker is our Intermediate Rhubarb Champion! She brought rhubarb popsicles. There were lots of very yummy entries! Don't forget to join us for the Zucchini Contest August 2nd at 6 pm and Potatoes in September! Congratulations to our Pioneer Peak team for winning Reserve Champion and to Idea Champion team for winning 4th place at the 2018 Alaska State 4-H Livestock Contest in Kenai! Pioneer Peak was 1st in Judging, 3rd in Skillathon and 2nd in Quiz Bowl, with Idea Champions 4th in Judging and Skillathon and 3rd in Quiz Bowl. Kayleena Roberts was 1st in Individual Judging and Ryan Eklund 3rd, Macee Eklund was 1st in Individual Demonstrations, Extemporaneous, Quiz Bowl and Art/Photography and top Intermediate, Kayleena Roberts was 2nd in Individual Demonstrations, 3rd (tie) with Ryan Eklund in Extemporaneous, 3rd in Quiz Bowl. Destiny Reimers was 5th Individual in Skillathon. Canyon Roberts was top Junior. Great Job! Congratulations also to Annie Willardson, Livestock Scholarship recipient and Julia Beck, our VLA Scholarship recipient! Congratulations and best wishes to our graduating seniors; Julia Beck, Kamerin Ewart, Shale Lytle, Greg Miller, Jeremiah Moyer, Olivia Siegel, Hayley Snegirev, Rebekah Weaver and Annie Willardson! Thank you for our contributions to our 4-H program and best wishes in your future endeavors! 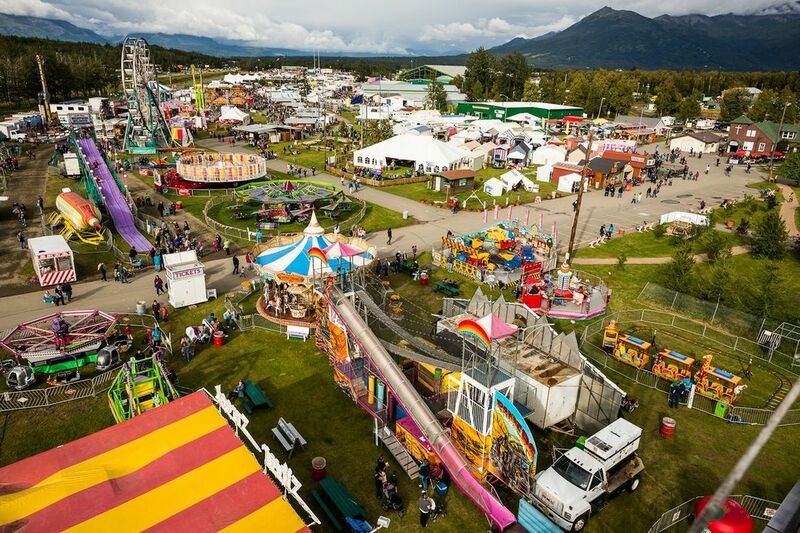 Congratulations to our 2018 Alaska State Fair winners! Congratulations to our Presentations and More participants! Our top winners in each age and presentation category will advance to state level competition! 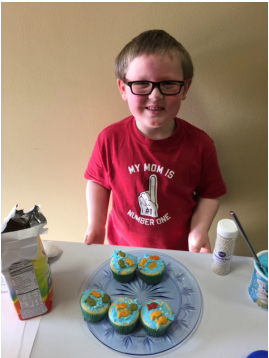 Congratulations to Canyon Roberts, our blue ribbon Junior level Favorite Foods and Fashion Review winner at our 4-H Clover Family Fun Day with Cloverbud Tylynn Sturdivant as top Cloverbud participant! Thank you to those who participated and assisted at this event! 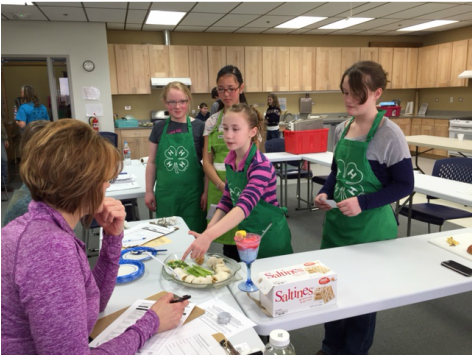 Congratulations to everyone who participated in our 2nd annual 4-H Triple Crown on February 15. Thanks also to Crystal Roberts and the many volunteers who helped make it happen! Lots of creativity and fun for all! To Atti Jo Tormey for winning the IPad mini from the State 4-H survey and to Canyon and Kayleena Roberts for winning blue ribbons from the State 4-H Presentation competition! Way to go!!! Congratulations to our district teams at the State Livestock Contest! Pioneer Peak 1 was 3rd overall and Pioneer Peak 2 was 4th overall, with lots of great individual scores as well.Read about the complete contest and results at the Alaska 4-H website under statewide events. Everyone had fun at this new and exciting event! Thank you Crystal! ​Congratulations also to our 2017 district “Presentations and More” contest! Extemporaneous-Blue Ribbon-Int-Kayleena Roberts, Red ribbon-Sr-Della Tryon Congrats to Kayleena Roberts, Canyon Roberts and Tirzah Parker for their blue ribbon tailgate war entries at the 4-H Superbowl of Fun on Feb. 25, 2017. Also a blue ribbon to Canyon for his talent tongue twister presentation! A big congratulations to Patty Miller for being selected as not only Alaska's 2016 Salute to excellence-Volunteer of the year but also for the western region! Thank you to patty for all of her hard work and passion for our 4-H program! 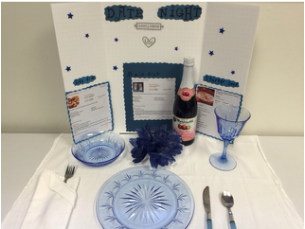 Congrats to Della Tryon for winning the 2015 Community Harvest Dinner Dessert Contest! Congratulations also to our 2015 State Presentations contest winners!